Plumbing maintenance issues change with the seasons. In the winter, things get particularly interesting, as two elements come together: water and sub-freezing temperatures. The cold season means your pipes–as well as any other household systems that consume water–are at risk. In addition, family habits change during the winter. As people spend more time inside, water consumption rises, putting an extra load on pipes, drains and water heaters. 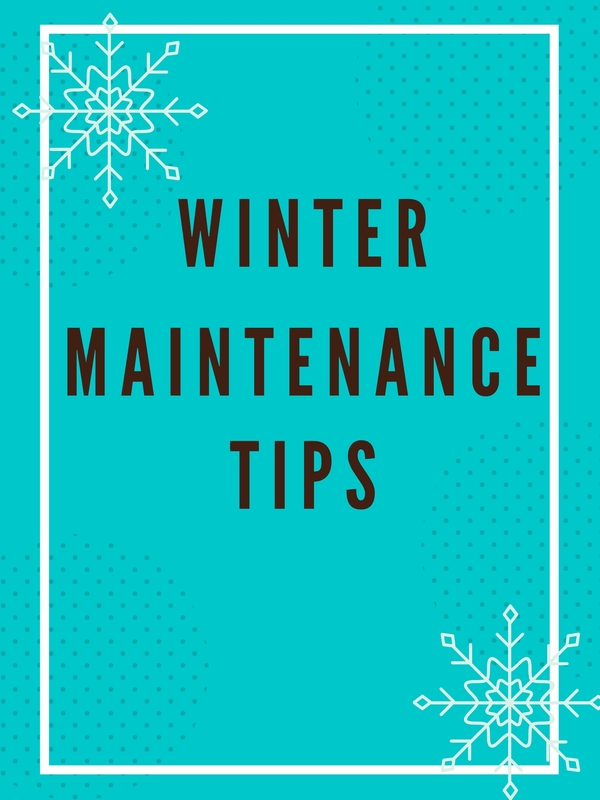 This winter, protect your property and your family’s comfort by following these plumbing maintenance tips. Just as it helps retard heat loss from your home, insulation can keep your pipes from losing those last few degrees of heat energy. Exposed pipes—both cold water and hot water—in areas like a crawl space, basement or attic can be covered with foam pipe insulation sleeves or wrapped with pipe insulation tape. Electrical heat tape can be applied to short spans of pipe in areas that may be particularly prone to freezing. It’s long been known that opening faucets in the house just enough to emit a trickle of water, and leaving them running during any period when temperatures drop below the pipe-freezing threshold is an effective way to prevent damage to pipes. But it’s not the small movement of water through the pipes that prevents freezing—after all, even rapidly moving water freezes in streams and waterfalls. The fact is, frozen pipes don’t rupture because of the force of ice expanding outward. Instead, ice forming in the pipe expands laterally and pressurizes water trapped in the pipe between the site of the ice formation and a closed faucet or other outlet. This over-pressurized water is the force that actually ruptures the pipe. Opening faucets slightly throughout the house and allowing them to dribble provides pressure relief and fends off pipe damage. Some homes have quite a bit of ancillary household plumbing that’s outside, and this is even more vulnerable to freezing. In some cases, freezing in exterior plumbing can affect indoor pipes. Here are some examples. Garden hoses left outdoors may still be filled with water from the most recent use. Garden hoses with nozzles or other terminators at one end and connected to open faucets are particularly hazardous to your plumbing, as water pressure created by ice formation in the hose may back into the home’s water supply and damage pipes. Disconnect garden hoses, and drain them during freezing weather. If your outdoor faucets have indoor shut-off valves in the basement, crawl space or elsewhere, turn off the water to the faucet during freeze conditions, and open the outdoor faucet to drain residual water out of the line. Check the owner’s manual for your home sprinkler system, and follow the procedures to winter-proof the sprinkler pipes and protect them from freeze damage. If you have a sump pump in your basement to prevent flooding, keep an eye on the sump pump outlet pipe, usually somewhere behind the house. Make sure the outlet is not blocked by fallen snow or an iced-over puddle. If the pump should activate when the outlet is blocked, water flow may reverse into the basement. Other outdoor water lines that may freeze include pipes leading to a swimming pool, fountain or garden pond. The general plumbing maintenance rule is to shut off water to these uses at the source, then drain the lines. If your pipes freeze despite proper plumbing maintenance measures, you need immediate professional help. Don’t wait for the pipes to thaw so you can verify damage. Pipe ruptures may occur some place distant from the actual site of ice formation and may be concealed within inaccessible spaces. Water damage can be extensive before you are able to locate and evaluate the problem. During freeze conditions, be alert to any unexplained decline in water pressure or a complete cessation of water at any faucet or other outlet. These are red flags that should not be ignored. Turn off household water at the main supply valve, and contact a reputable plumbing professional immediately. Winter’s an indoor season for many. This means the demand on your plumbing system rises. Also, the number of guests and festivities in your home rises with the holiday season, and this also increases demand on your plumbing system. A few maintenance guidelines can help to keep your supply lines and drains running freely. Grease and oil from cooking are major components of pipe sludge that causes clogs. When drain pipes are cold in the winter, the sludge tends to congeal in pipes. Try to collect grease and oil in containers rather than pouring them down the sink. Cold weather puts a stain on hot water heaters. Because water lines are chilled, the water supply entering the hot water heater is much colder and requires more energy and longer recovery time. Space out shower and bathroom times to allow the heater to bring the full tank of water up to the thermostat setting before placing more demand on the system. If the water temperature lags because of cold plumbing, try bumping up the water heater thermostat a few degrees. Don’t exceed 125 degrees, though, as this may create a scalding hazard. Run the dishwasher overnight or at some other low-demand time to minimize stress on the water heater.